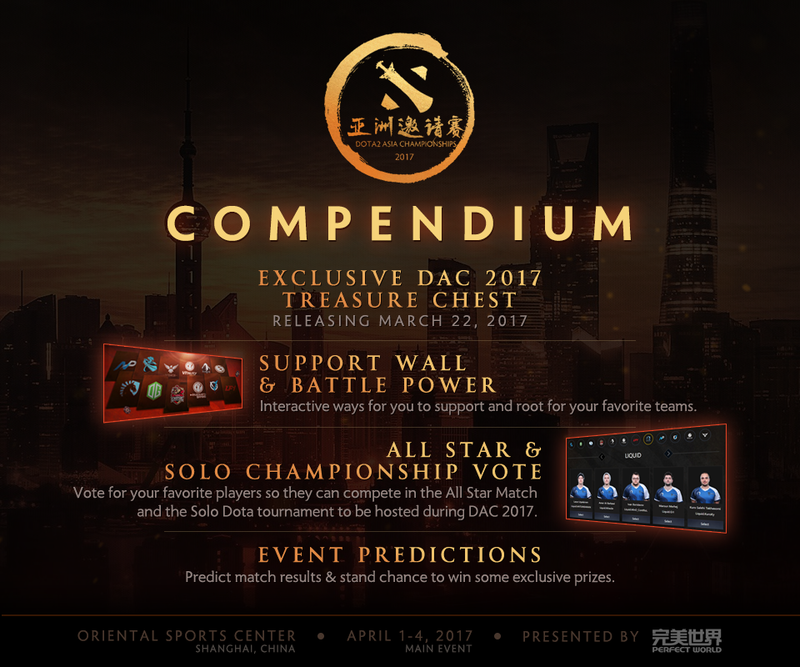 DAC 2017 Compendium isn't going to be an in-game item but DAC is getting their own third party compendium. You can support your favorite players and teams from their website. Prize Pool and Treasures is going to be released on March 22. Well this is a surprise for all of us and we don't know what kind of treasures is going to be released and how this compendium is going to help in increase of prize pool. You can CLICK HERE to know more about this compendium.